My favorite part of road-tripping is discovering places I would not ordinarily find. Sure, planning is good and I love to visit the major attractions but there’s really nothing better than just pulling off the road and seeing something new. In San Luis Obispo County just off highway 101 is the small town of San Miguel. It’s a blink and you’ll miss it kind of place with only a peeling, hand-painted billboard indicating there’s something to see there. 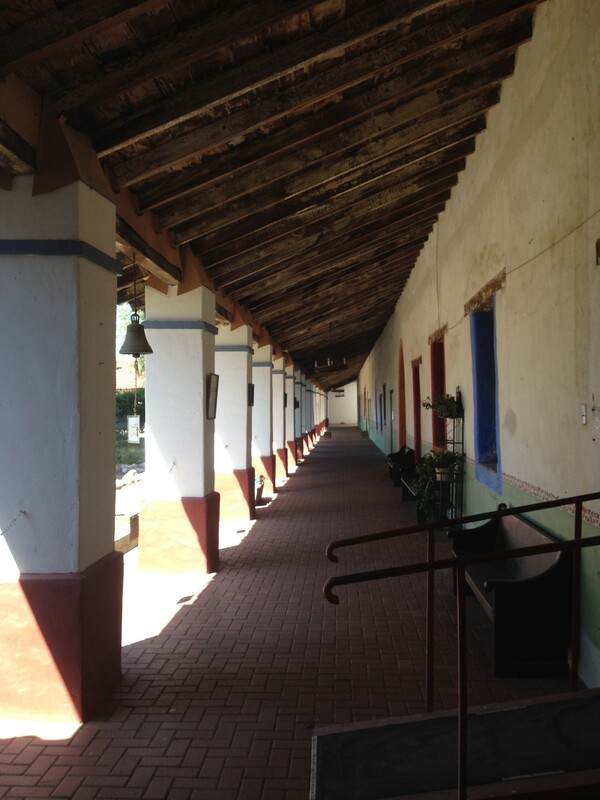 I just happen to be fan of peeling, hand-painted billboards and resolved to stop “one of these days.” In May, on my Palo Alto trip I did stop and discovered the quaint Mission San Miguel. But, the day was waning and I still had a ways to go so I snapped a few pics and continued on. A few months later, on our epic Portland road trip my family and I made sure to pay Mission San Miguel a proper visit. 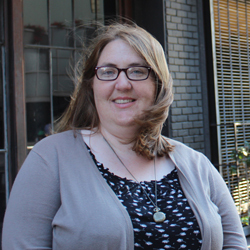 The California missions are deceptively similar. They share the same backstory and design but they are really quite different. Those that ended up surrounded by cities such as Santa Barbara and San Luis Obispo are frequently visited and well taken care of. They become tourist attractions. Those that end up in small towns like San Miguel are rarely visited, struggle with maintenance but instead become the heart of a town. Instead of tourist attractions they are the center of all local activity. On my first visit I witnessed townsfolk attending Sunday Mass and on my second a wedding occurred. 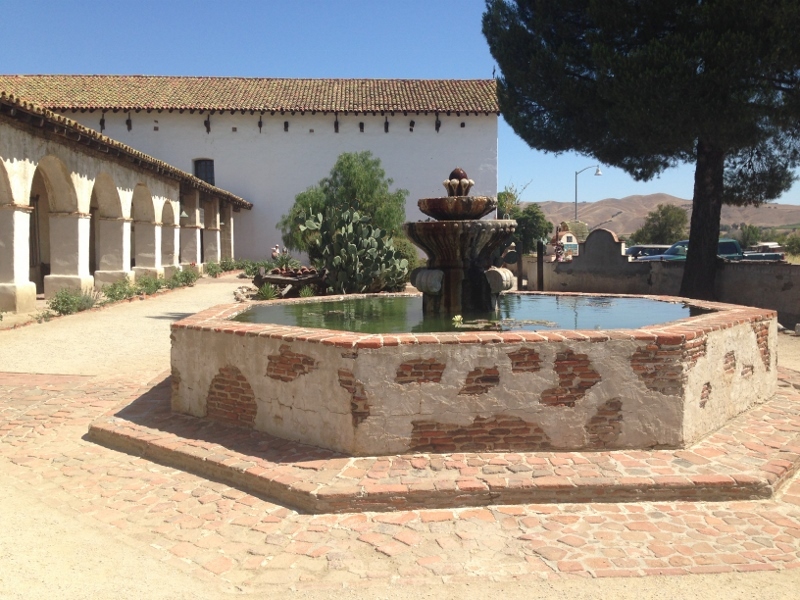 As outwardly beautiful as San Juan Capistrano is San Miguel’s beauty lies in its link to its community. 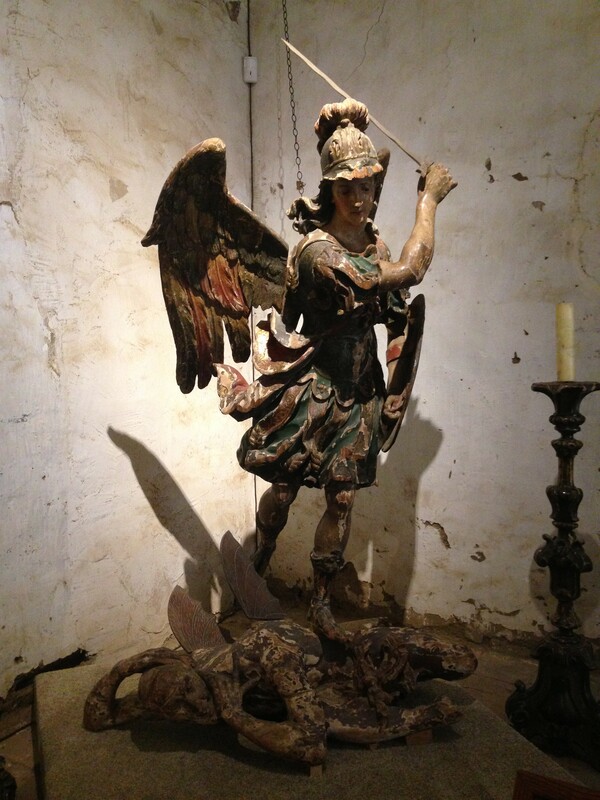 Mission San Miguel does contain a small museum and we gladly paid the admission fee. Inside were various artifacts from its centuries old history. 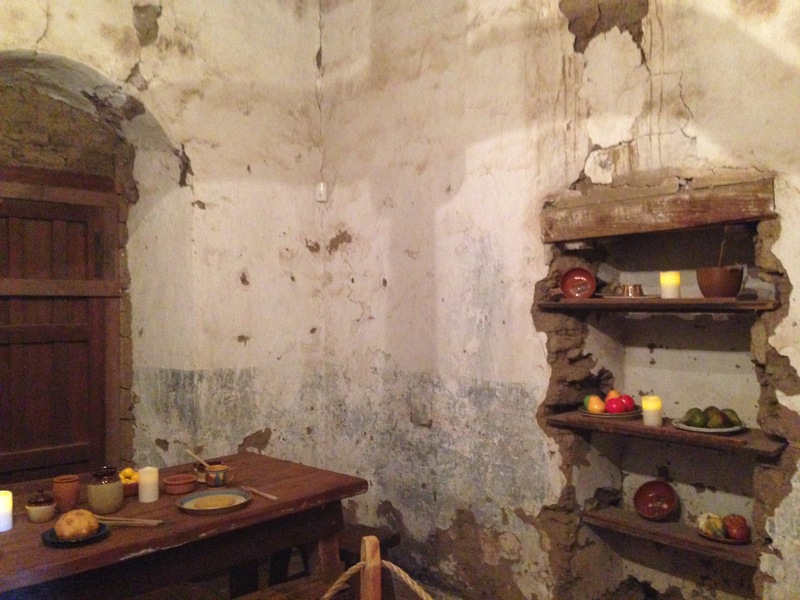 To think that these adobe walls have held generations of Californians is mind-boggling. The missions are true treasures and I’m so thankful they survive. 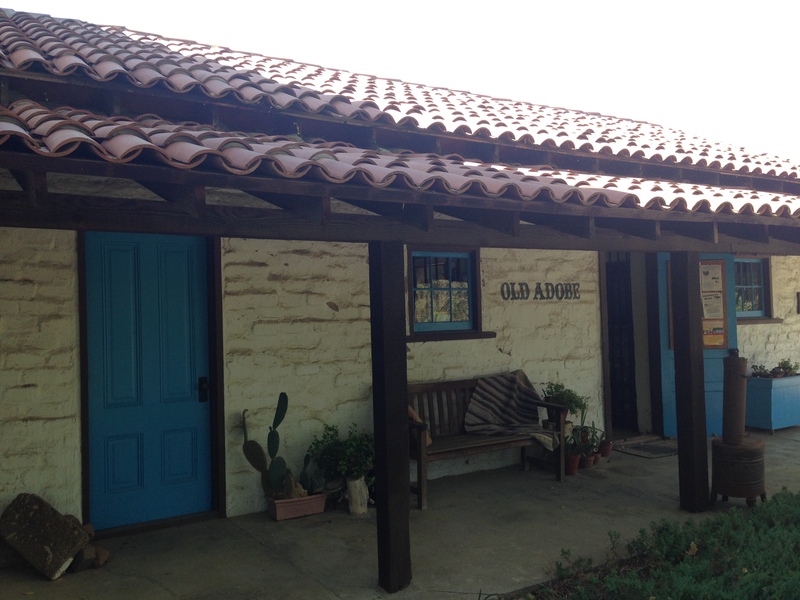 Just across the street from Mission San Miguel is The Rios-Caledonia Adobe which is another true treasure. 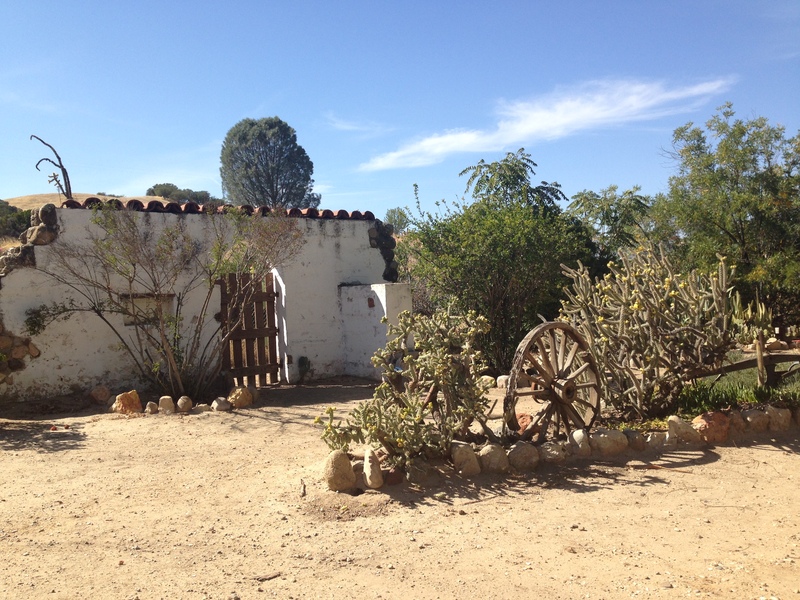 The adobe was built in 1835 as part of Mission San Miguel and it housed its military guards. 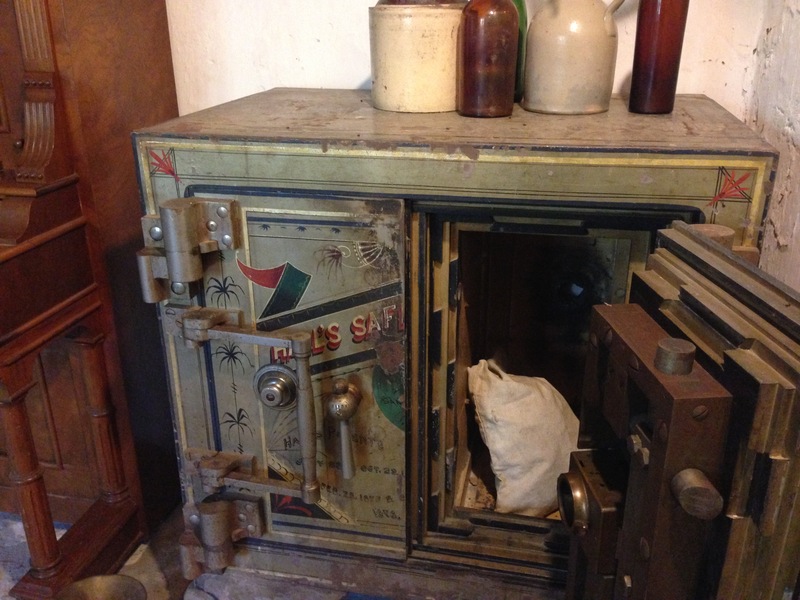 Over the years it had several functions including a family residence, a stagecoach stop, an inn, a dressmaker’s shop, a post office, a dairy farm and on and on an on. The structure is now a museum and is in beautiful condition. 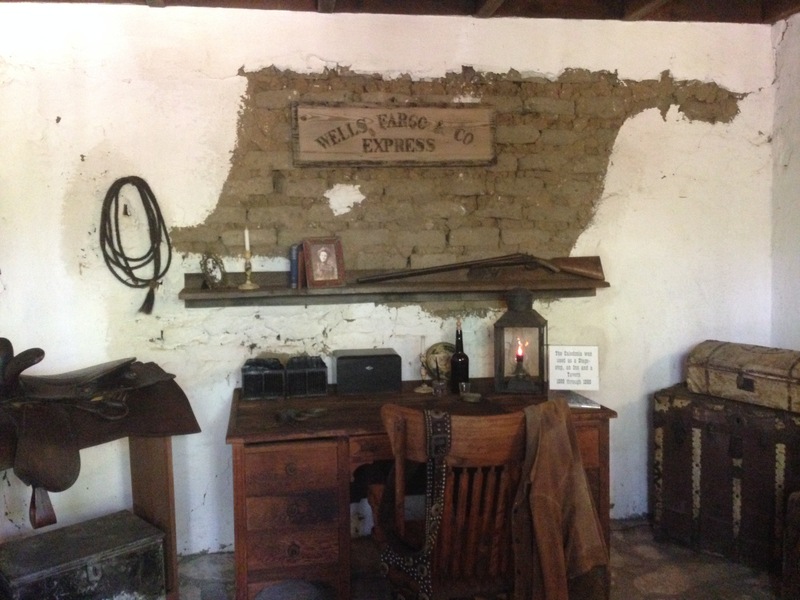 The interior highlights the various functions the adobe served and even includes a recreation of the former Wells Fargo express station. On our visit the friendly docent showed us all around the adobe and taught us its history. It was fascinating to learn of all that occurred in this small house just off the freeway. I’d passed by it numerous times and had no idea such a treasure existed right under my nose. My favorite part of the adobe was not in the actual building but was the driveway we took to the parking lot. Turns out the driveway is about 100 years old and is one of the few remaining pieces of the original California highway system. I was fascinated by this bit of trivia. As one who uses the roadways far too often I love that I drove over one of the very first ones. Started by adventurers 100 years ago it led to this adventurer who still explores today. This is why I travel. This is why I explore. This is why I love California.